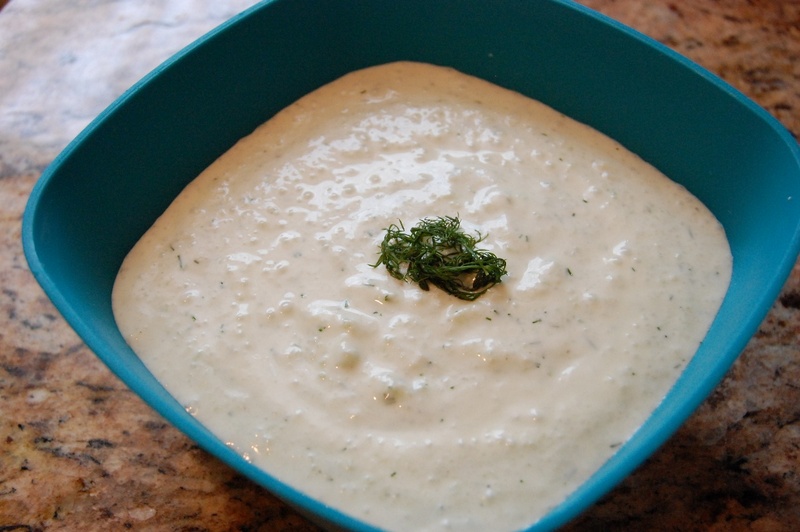 Get sick of ranch dressing? That’s a silly question. Nobody gets sick of ranch dressing. But sometimes you might need something a little different. 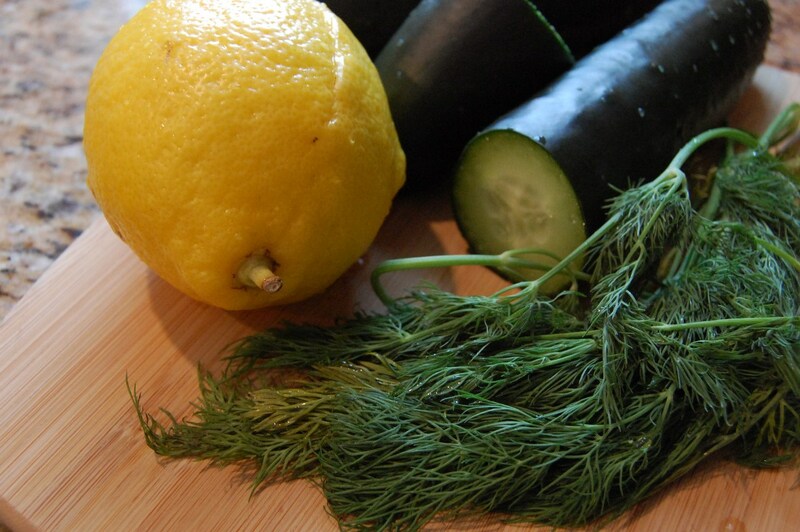 What about some tzatziki thinned out into a dressing? 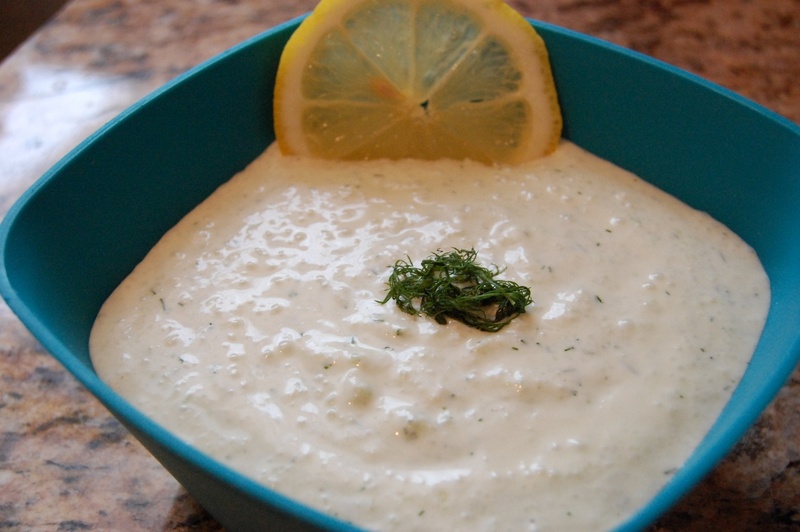 Classic tzatziki is not as liquid-y as most salad dressings. 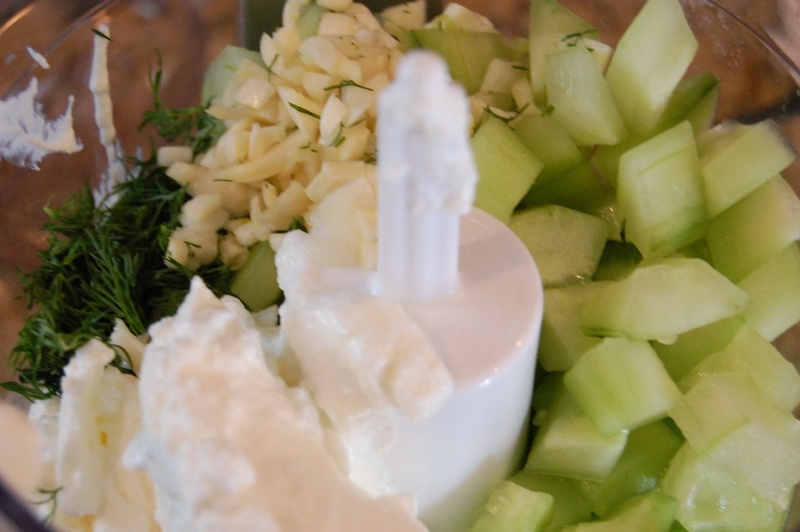 This is because most tzatziki recipes call for wringing the moisture out of the cucumber before combining the ingredients. If you leave that moisture in, you get a creamier, more dressing-like texture. 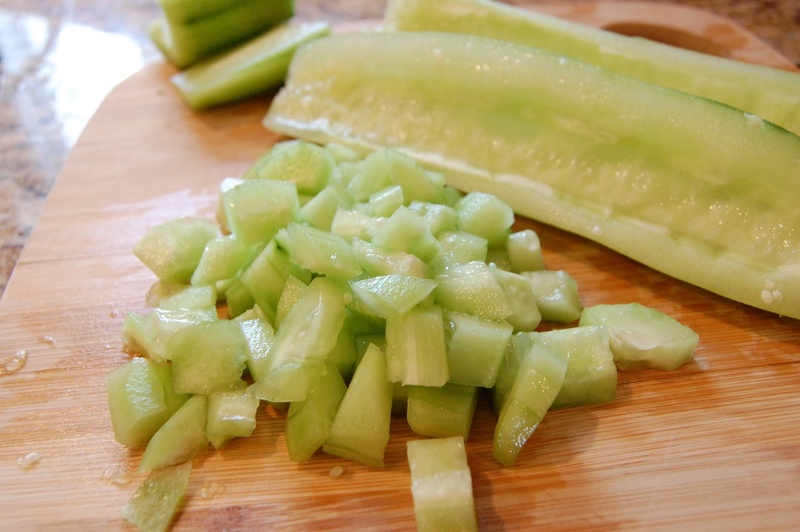 Peel the cucumbers and you should still remove the seeds (I used a spoon to scrape the middles out). Stop right there if you want some cucumber boats. Cucumber canoes, really. I had Greek yogurt leftover from the Creamy Tomato Habañero Sauce that I made, so I used it here. You can use any plain yogurt. But seriously, use Greek yogurt. Process in the food processor and then serve as is, or let it chill in the fridge for an hour or two to let it thicken. 1. Combine all ingredients in food processor. Process until well blended and smooth. 2. Optional: Refrigerate 1-2 hours to thicken. This entry was posted in Appetizers, Sauces and Dressings, Snack, Vegetarian and tagged Appetizer, Cook Time, Cooking, Dressing, Greek, Prep Time, Recipe, Salad, Sauce, Snack, Tzatziki, Vegetarian, Yield, Yogurt by Lazy Suzan. Bookmark the permalink. I’m not a huge fan of ranch so this looks appealing to me.